Well; after dealing in Mooney’s and selling many 201′s over 20 years in business; I know of no one that suffered a total mag loss, at least I have had no reports of same. I also owned a 201 and flew that bird for nearly six years and over 1,000 hours. Was mine trouble free? Well almost… I had one problem with it that could have turned disastrous. I was at Bulverde Airpark in the Hill Country north of San Antonio and was doing a pre-takeoff run up when all of a sudden the engine began to run really rough and I couldn’t clear it so I taxied back to the maintenance shop. While getting out of the plane I noticed oil all over the lower cowling and underneath the plane. What happened?! The single dual mag mounting nut all but fell off the mounting stud and the mag was loose and about to fall off the engine. (Note that there is no provision for a tie wire to keep that bolt in place). The special washer and aircraft nut are strong enough to be super tightened but here’s the problem as was discovered in my 201: Note the aluminum mounting lug between the nut and accessory case. If you look closely you will see that it is in a “step” shape designed to hold the mag against the engine case. With time that aluminum lug began to wear sitting against the metal of the case and the mag itself. Vibration can cause that block to wear and as it does, eventually the mounting nut can loosen which is what happened to my bird. Luckily for me; my mechanic at the time had a machine shop within his hanger and he made me a differently shaped block in more of a wedge shape and it never came loose again. Bottom line: Check the tightness of that mounting nut every time you change or have the oil changed; every 50 hours or so. I don’t know; if I owned another 201 I would probably check with the factory to see if it is okay to drill a small hole in the mounting bolt at one of the hex points so as to attach a tie wire much like is used on your oil filter to preclude the possibility of that bolt loosening as mine had. What else can go wrong with the Single Dual Mag? Inside each of those mags are dual “distributor caps”, and should they crack you could start an arcing of electric charges going from one mag side to the other which can and will short out the whole shooting match and make you a glider pilot. Further but less likely is the shearing of the mag drive gear. Should that get munched somehow you’d loose your mag and the engine will fail, and as bad as that would be the metal introduced into the engine should you successfully reach a safe landing point. For this reason; it is prudent that you adhere to most suggested mag checks each 500 hours where the mag is pulled and sent to the accessory shop for checking and testing. I do trust that mag system having so many hours behind that engine; but stuff happens and to be forewarned is to be forearmed. There are those that don’t want to trust the single dual mag and you can do something about it if you’re concerned. The accessory case has to be changed out for one that is made for dual redundant mags. The best time to do that is at the next engine overhaul; but it can be done prior by your mechanic. Remember that the cost to do so will be somewhat offset by selling your existing accessory case and the single dual mag with it. Ebay brings reasonable prices for used aircraft parts, and most get sold that way. and IO360A3B6D engines installed in Mooney M20J201 or Cessna Cardinal 177RG aircraft. TIME OF COMPLIANCE: At the next oil change, not to exceed 50 hours of engine operation or at each magneto timing check or service. 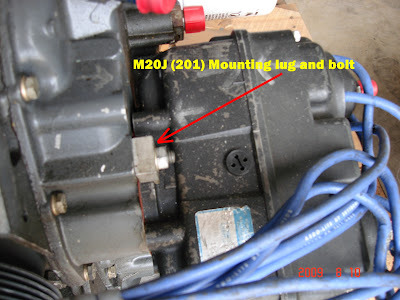 There have been reports of the hardware attaching the dual magneto to the engine accessory housing becoming loose after maintenance in the field on Mooney M20J201 or Cessna Cardinal 177RG aircraft. It is possible that during magneto maintenance, such as timing changes or checks, the attachment nuts were not torqued to specifications or that the hardware was not installed properly. is installed. No other gaskets are acceptable. See Figure 1.
are torqued to 17 ft.lbs. (204 in.lbs.). In airframe installations where it might be difficult to access the attaching nuts, use a torque wrench with a crowfoot attachment. See Figure 3 for an example of a special adapter, in this case, a crowfoot attachment. NOTE: If a crowfoot attachment or other special adapters are used which will change the effective length of the torque wrench, the final torque indication or wrench setting must be adjusted accordingly. Refer to FAA Advisory Circular No. 43131B for further instructions. Figure 3. Example of Crowfoot Attachment. Some good news: Lycoming is getting their new IO-390 engine certified for the replacement of the engines on the E, F, and J models. There is ten more horsepower on that replacement engine and you should see another 4-7 knot increase in cruise speed plus a better climb rate. I should have more information on the actual numbers soon as I know someone who is in process of having that engine installed on his Mooney. Lycoming Engines is pursuing engine certification for its IO-390-A3A6 as well as a Supplemental Type Certificate (STC) to install the engine in three legacy models of the Mooney Airplane Company’s M20 series of aircraft. The Mooney M20E, M20F and M20J are single-engine aircraft produced by Mooney Airplane Company of Kerrville, Texas, between 1964 and 1998. The original engines in these aircraft were Lycoming IO-360s. This is the second STC Lycoming is pursuing as part of the Lycoming Echelon STC program, which seeks to provide premium power plant and firewall forward solutions for legacy aircraft. In June, Lycoming announced certification of the IO-390-A1A6 engine and a Supplemental Type Certificate (STC) to install it in a Cessna Cardinal C177RG. Lycoming developed and is seeking certification for the IO-390-A3A6 in response to requests from aircraft owners and pilots for a higher horsepower, four-cylinder engine. Today, approximately 175 uncertified versions of the Lycoming 390, the IO-390-X, power existing homebuilt and kit aircraft. Since certifying the IO-390-A1A6 in April, the marketplace has reacted with a significant number of orders. The certified IO-390 Lycoming engine weighs from 312 to 315 pounds and has a rated 210hp at 2700 rpm. The four-cylinder, fuel-injected IO-390-A3A6 includes a robust rotating system, specifically developed cylinders, tuned induction system, Lycoming’s roller tappets, Slick Start ignition, and front facing fuel servo. The STC will include a new or rebuilt IO-390-A3A6, Slick Start System, and all required hardware and documentation. The STC is approved with either a Hartzell 2-blade or 3-blade propeller. Look; some dealers will let me have it for exposing shortcomings in any Mooney, but there are no “perfect” airplanes out there, each having its own issues, but at Mooneyland we are dedicated to the issue of safety and we have done our best as usual to help assure safe flights no matter the make and model airplane you’re involved in. As for the single dual mag, don’t worry, they have proved overall to be safe and reliable, but to help make them safer, we’ve dedicated this article in that vane so that you are the safest you can be and INFORMED while defying the laws of gravity. There are a ton of J models out there and very few have exhibited any problems with the single dual mag, so not to worry, just be as cautious about your mag system as you are of anything else of major potential consequences. 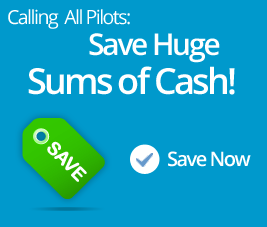 NEVER discount the benefits of that fast and super efficient and popular Mooney M20J 201. I sure loved mine! As always; Mooneyland has your back!